Airfryers have gained a lot of attention in the past few years mostly due to the growing awareness of healthy cooking and eating. 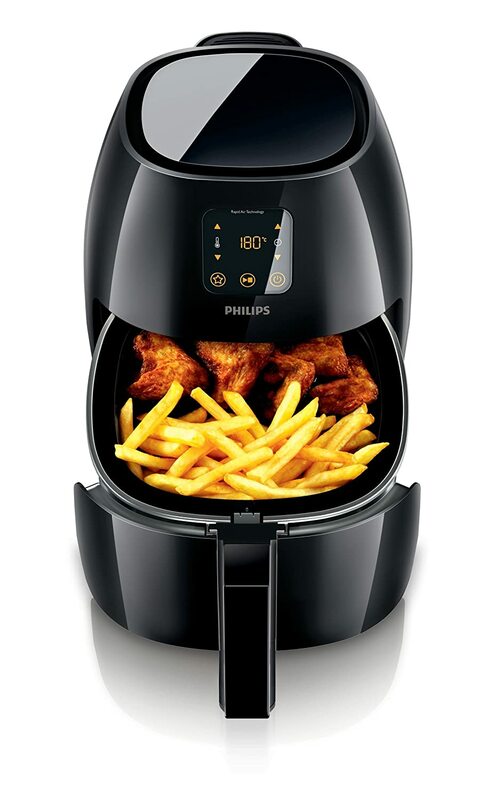 Many brands and models of airfryers have been released into the market, and one of the most popular is the Philips HD9240 Avance XL Digital Airfryer. Manufactured by one of the leading kitchen appliance makers, Philips has again provided a new innovation that addresses the need of consumers who are looking to stay fit without compromising on their favorite fried foods. Aside from being able to cook healthier fried dishes, there are other benefits that consumers can enjoy from using the Philips Avance XL Digital Airfryer. It has a lot of new features that cannot be found even on the older models of airfryers released by Philips. The older models of Philips airfryers usually come with a cooking capacity of 1.8 lbs. Although this is big enough for a single person, a couple, or a family of three, it is still not enough to cook large amounts of food which is good for more than 5 people. The Philips Avance XL Digital Airfryer on the other hand comes with a 2.65 lbs. of cooking capacity which is 50% larger than the old models. The Philips Avance XL Digital Airfryer boasts of faster cooking speeds compared to other models of Philips Airfryers. In fact, you can roast a whole chicken in this appliance in a little over 30 minutes. 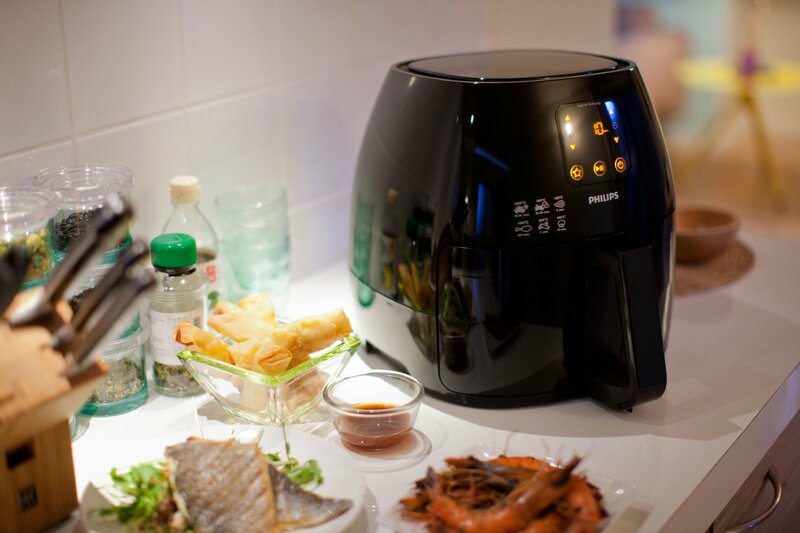 The Philips Avance XL Digital Airfryer is not only usable for frying, but can also be used for roasting, grilling, and baking different kinds of food. When you buy the Philips HD9240/94 Airfryer Avance and put it in your kitchen, you basically get four types of cooking appliance molded into one. That’s a lot of savings considering that you only need one kitchen appliance to do four types of cooking. Some of the features of the old Philips Airfryers are still present in the Philips Avance XL Digital Airfryer, but there are additional features which makes this big brother of theirs a more appealing choice to buyers. As with other Philips airfryer models, there are some things which makes it a great choice, and there are others that make it less desirable. Because it has more cooking capacity, it is larger than its older predecessors, making it difficult to store in kitchen cabinets. However, the amazing design (especially the black one) complements and adds more appeal to the kitchen, so there’s really no reason to store it away anyway. The number of health conscious people are growing, and they understand that is possible when you eat healthy. When it comes to healthy eating, there are many routes that you can take like avoiding fatty foods. However, with the Philips HD9240 Avance XL Digital Airfryer you no longer need to avoid fried foods as this airfryer guarantees that the foods coming out of its food basket is as healthy as it gets. Some people think that foods fried in an airfryer does not taste as good as the ones cooked in a regular fryer, but they’re wrong. When it comes food, Philips is one brand that you can trust.The company and many of its patrons have testified and claimed that there’s no difference with foods cooked in the Philips Avance XL Digital Airfryer when it comes to taste. So now, you can enjoy your favorite fried foods in a healthier way without having to compromise on its taste. I enjoyed your review of the Philips HD9240/94. I’m wondering about using it for dehydrating (foods such as apple rings). Have you tried it, and is there an accessory needed to accomplish the best dehydration? Have had a terrific time cooking with this machine in the three weeks I have had it.